Be one of the firsts to get into Mali Music’s new album “Transition of Mali” that is set to drop any moment from now. 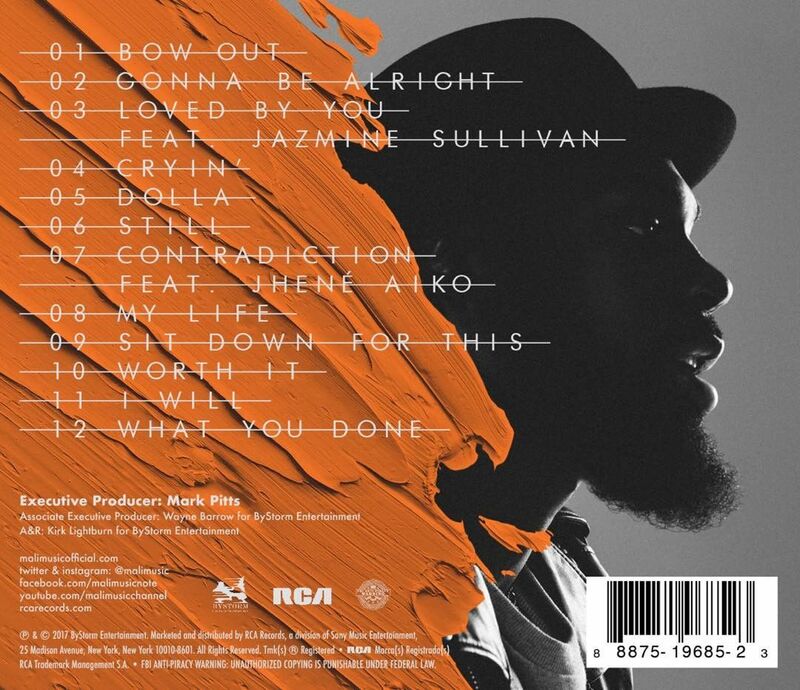 The album produced by RCA has 12 tracks on it featuring Jhene Aiko on the song “Contradiction’ and Jazmine Sullivan on ‘Loved By You’. Prior to its release, Mali Music has put out some of the songs on this album such as ‘Contradiction’, followed by ‘Sit Down For This’ both which featured as soundtracks on the 2015 satirical music drama movie ‘Chi-Raq’, and now the most recent single “Gonna Be Alright” which now has a video. Check out the tracklist below.